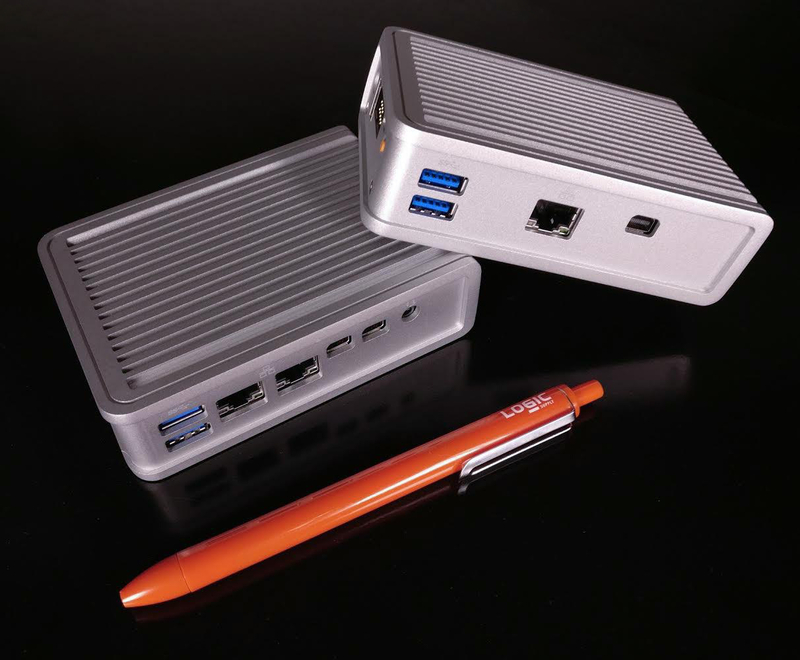 SOUTH BURLINGTON, VT - MARCH 21, 2018 - Global computer hardware manufacturer Logic Supply (www.logicsupply.com) has unveiled their CL200 Ultra Small Form Factor computer (www.logicsupply.com/cl200), built to power innovation at the network's edge. Surrounded by an ultra-durable cast aluminum enclosure, and configurable with Wi-Fi/Bluetooth or 4G connectivity, the CL200 has been engineered to bring reliability to the Internet of Things. Both models in the CL200 Series are powered by an efficient Intel® Apollo Lake Celeron processor and measure a mere 83 x 116 x 34 mm. The base model CL200, running on Linux Ubuntu 16.04, features 2 GB of RAM and 8 GB of onboard storage. 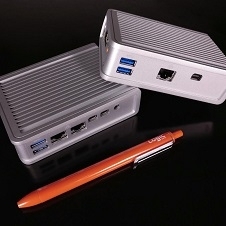 The CL210 steps up to 4 GB of RAM and 32 GB of storage, and can be configured with Ubuntu or Windows 10 IoT. A built-in MicroSD card slot on both models enables additional removable storage while an onboard mSATA allows for each system to be configured with up at a 1 TB SSD. I/O on the CL200 includes one mini DisplayPort™ capable of 1080p or 4K resolution, one Gigabit LAN port, and two USB 3.0. The CL210 features two mini DisplayPorts capable of dual 1080p or single 4K resolution, dual Gigabit LAN, two USB 3.0 and also adds a 3.5 mm audio jack. Both systems have an additional USB 2.0 port and RS-232 box header on the bottom, and are configurable with Wi-Fi/Bluetooth or Logic Supply's Extrovert 4G LTE capability. The CL200 will make its debut at this year's Digital Signage Expo in Las Vegas, NV, which begins on March 28th. The system's compact footprint, versatile connectivity and optional Consumer Electronics Control (CEC) make it ideal for a range of digital signage and kiosk applications. "We've been working with Logic Supply for the last few years on a range of projects that require highly reliable computer hardware," said Kevin Romano, Executive Vice President and founder, Christie Experiential Network. "In our industry, reliability is paramount. Every moment of downtime potentially represents significant revenue loss. Employing Logic Supply hardware lets us focus exclusively on creating immersive and engaging OOH solutions for our clients and their content." In addition to IoT and digital media applications, the CL200 is well suited for data acquisition, automation and network gateway installations that require a reliable, versatile, ultra small form factor device. The CL200 will be available in Spring 2018, but Logic Supply is currently engaging with customers interested in the CL200 on project requirements and timelines. To learn more about the CL200 and to sign-up to receive availability and pricing updates, visit www.logicsupply.com/cl200, or contact Logic Supply at +1 802-861-2300 in the US or +31 (0)85 2733760 in Europe. About Logic Supply: A global industrial PC company focused on hardware for the IoT edge, Logic Supply designs highly-configurable computers engineered for reliability. Their systems operate in the harshest environments and power innovation in the evolving Internet of Things. Fueled by a unique direct-to-customer business model that combines vertical integration, modular product design and a powerful online platform, Logic Supply offers computers “designed to last, built to order, and delivered in days.” Founded in 2003, the company has served over 60,000 customers.Logic Supply has offices in North America, Europe, and Taiwan. Learn more about why innovators choose to "Build It With Logic" at www.logicsupply.com or on Twitter @LogicSupply.